PC Gamer Magazine talks about PC games, PC Games and some more PC Games. 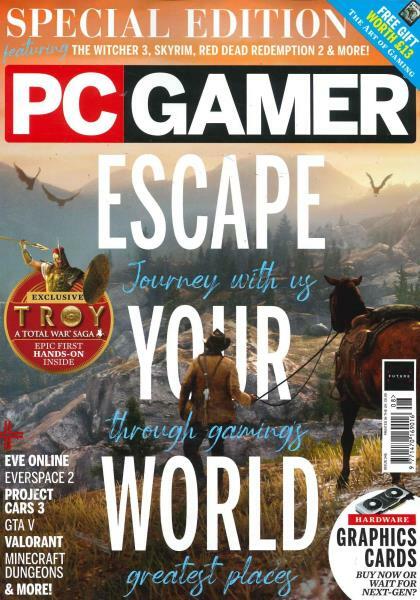 With the largest number of computer and laptop game demos and description, PC Gamer magazine is a bible for computer games lovers. It has a lot to amaze you. The astonishing high quality graphics and real character demonstration from the games would immediately get your attention and have you wanting more. Apart from the big game names, the magazine also emphasizes the games from various users/small developers and gaming communities. Every issue features many games with detailed descriptions of the characters, levels, user interactions and controls all along with tried and tested reviews and ratings. The magazine helps you to attain highest level of any game play to challenge your fellow players over online games or have a splendid time while playing it among your friends.